Jamie Campbell Bower is an English actor, singer, and model. Check out this biography to know about his birthday, childhood, family life, achievements and fun facts about him. Jamie Campbell Bower is an English actor, singer, and model best known for playing the supporting role of Caius Volturi in three films of ‘The Twilight Saga’ series as well as a minor role in the popular fantasy film ‘Harry Potter and the Deathly Hollows- Part 1’. Campbell was born in London. He began his career as a model for the Select Model Management. He made his film debut with the minor role of Anthony Hope in the British musical horror film ‘Sweeney Todd: The Demon Barber of Fleet’, which starred the famed actor Johnny Depp in the lead role. He soon gained popularity for his role of Caius Volturi, in the film ‘The Twilight Saga: New Moon,’ the second film of the popular Twilight Saga film series. He reprised his role in ‘The Twilight Saga: Breaking Dawn- Part 1’ and ‘The Twilight Saga: Breaking Dawn- Part 2’. Besides being an actor, Campbell is also the lead vocalist, lead guitarist, and a founding member of the English punk group ‘Counterfeit’ which was formed in 2015. The band has released one studio album and three extended plays so far. 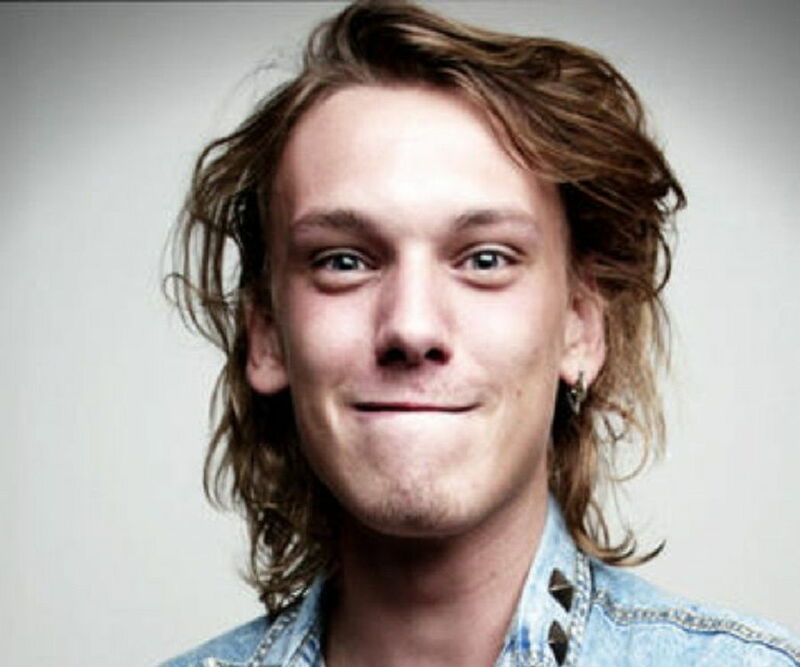 James Metcalfe Campbell Bower was born in London, England on 22nd November 1988. His father David Bower worked for the Gibson Guitar Corporation while his mother Anne Elizabeth was a music manager. He studied at a co-educational independent school in New Hampshire named Bedales School. Later, he became a member of the National Youth Music Theatre and the National Youth Theatre. 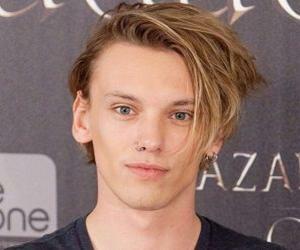 Jamie Campbell Bower began his professional career as a model with ‘Select Model Management’. His first work on the big screen was his role of Anthony Hope in the 2007 horror film ‘Sweeney Todd: The Demon Barber of Fleet Street.’ The film was a commercial success and won several awards. It received two Golden Globes out of four nominations, as well as one Oscar, out of three nominations. In 2008, he appeared in the films ‘RocknRolla’ in a minor role, and in ‘Winter in Wartime’ in a supporting role. The next year, he gained attention for his supporting role of Caius Volturi in the romantic fantasy film ‘The Twilight Saga: New Moon’. The film was a huge success commercially, though it was met with negative reviews. 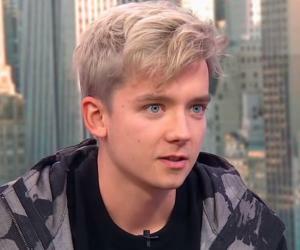 In 2010, he was seen in the film ‘Harry Potter & the Deathly Hallows-Part 1’ where he played the younger version of a character named Gellert Grindelwald. 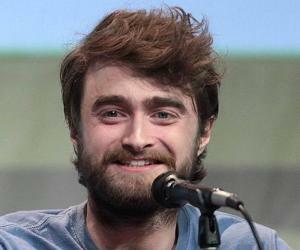 The film, which was the seventh installment in the Harry Potter film series, was a huge success commercially and was also met with positive reviews. The same year, he was also seen in the crime film ‘London Boulevard’. Meanwhile, he was also seen in TV shows such as the ‘The Prisoner’ in 2009 and ‘Camelot’ in 2011. His next role on the big screen was a supporting role in the political thriller ‘Anonymous’. Directed by Roland Emmerich, the film was met with average reviews and was a commercial failure. He reprised his role of Caius Volturi in ‘The Twilight Saga: Breaking Dawn-Part 1’ as well as in ‘The Twilight Saga: Breaking Dawn-Part 2’, the last two films of ‘The Twilight Saga’ film series. The movies were commercially successful, and while the reviews for the former one were negative, the latter received mixed reviews. In 2013, he played one of the main roles in the Canadian-German fantasy action adventure film ‘The Mortal Instruments: City of Bones’. It was directed by Harald Zwart. The film was an average success commercially, earning $90 million on a $60 million budget. However, it was met with mostly unfavorable reviews. He was next seen in the 2015 film ‘Thomas & Friends: Sodor’s Legend of the Last Treasure’. 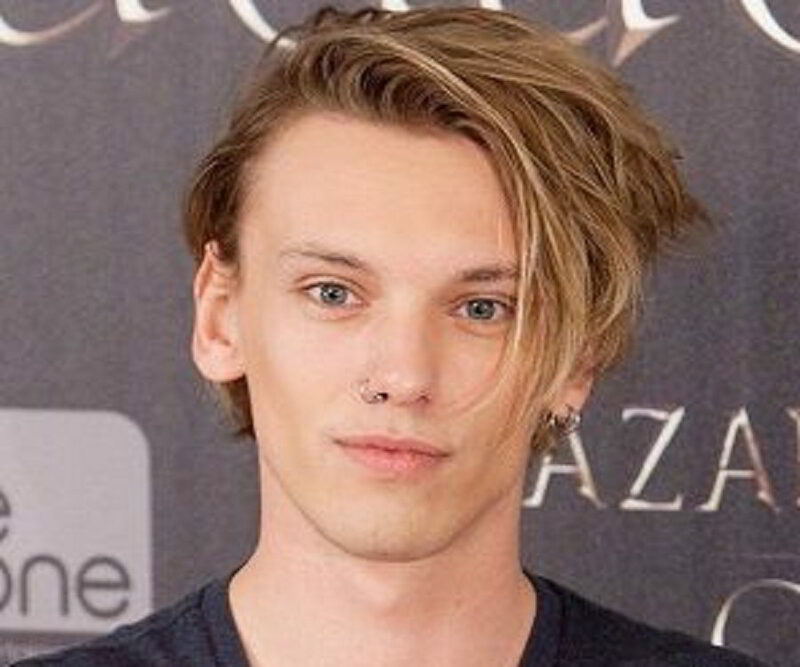 Bower’s role earned him a nomination for a ‘Teen Choice Award’ in the category of ‘Choice Movie Actor: Action’. Since 2016, he has been playing one of the main roles in the British children’s TV series ‘Thomas & Friends’. It has been mostly well-received by the critics. In 2017, he was seen in ten episodes of the American drama series ‘Will’ which was a fictionalized account of William Shakespeare’s early life. Jamie Campbell Bower is the founding member, lead vocalist, as well as the lead guitarist of the English punk band named ‘Counterfeit,’ which was formed in 2015. They have released three extended plays and one album named ‘Together We Are Stronger’ (2017) so far. 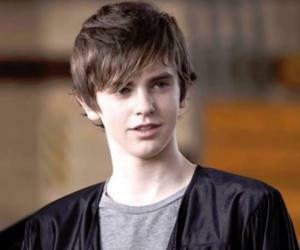 Previously, he had also appeared in the music video ‘Never Let Me Go’ by the band ‘Florence and the Machine’. Jamie Campbell Bower played the supporting role of Caius Volturi in the 2009 film ‘The Twilight Saga: New Moon’ which was the second installment in the popular ‘The Twilight Saga’ movie series. The story was about the complex relationship between a teenage girl named Bella Swan and a vampire named Edward Cullen. Directed by Chris Weitz, the film did well commercially and was liked by fans despite getting mostly negative reviews. It also received several awards and nominations. His role in the political thriller film ‘Anonymous’ (2011) was of much significance. Directed by Roland Emmerich, the film about the life of Edward de Vere, an Elizabethan courtier, poet, playwright, and patron of the arts, who suggested he was the actual author of William Shakespeare’s plays. The film did not do well commercially but was praised for its visual effects. It was also nominated for an Oscar in the ‘Best Costume Design’ category. Jamie Campbell Bower was confirmed to be dating actress Bonnie Wright in 2010. They got engaged in 2011; however, the engagement was cancelled the next year. He was ranked at the ninth position in the list of ’50 Sexiest Men’ of 2013 by ‘Glamour Magazine’.